"He was wickedly funny but always the perfect gentleman in mixed company and a most wonderful entertainer for children"
Vicki Michelle who knew Dave well said "Not only was Dave a great performer but a very special person who did so much for charity. He was loved by all who knew him". Dave was a true Man of Kent having been born in Broadstairs. However, he became a real Kentish Man. His charitable work not only brought him a well-earned OBE in 2003 but his career as an entertainer made him greatly loved by all the people of Kent. No wonder he had been unanimously voted to receive the Freedom of the City of Canterbury at the end of this month (January). Happily, this honour is still to be given to him posthumously, after his funeral in Canterbury Cathedral. Dave gave up his job as an engineer and began his theatrical career as a drummer/singer. Then formed his own comedy show band. It was during a chance meeting with Eric Morecambe that Eric advised him to go solo. As a result he became a warm-up man for Michael Parkinson, Michael Aspel and Jimmy Tarbuck. He finally appeared in front of the TV cameras in his own right on various shows such as Des O?Connor Tonight, The Generation Game, Celebrity Squares, Big Break, Only Joking, A Royal Gala Show for Prince Charles, Davro on the Box and the Brian Conley Show. Dave was also nominated in the British Comedy Awards. 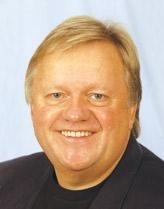 Amongst numerous radio appearances he also had his own show called The Fat Bloke. Over the past 25 years Dave has worked in Pantomime especially a Dame in the Marlowe Theatre for 16 years. Sir John Mills once said "To succeed in comedy you need impeccable timing and Dave Lee has just that". Jim Davidson wrote in his blog "He was a great mate to all of us but now he will be with the love of his wife Linda, and on the 31st January, instead of receiving the Freedom of the City of Canterbury, he will receive the Freedom of heaven".